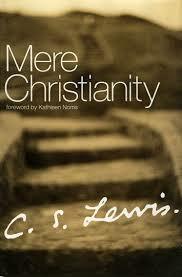 Mere Christianity by C.S. Lewis is a Christian classic. Every page inspires and challenges me. In book 3, chapter 5 Lewis writes about sexual morality. He covers many principles that apply to morality in general. Here are three good quotes from the chapter. Have you ever prayed to God asking for him to change you, but really there is a side of you that still desires the sin? Examples: relief from conflict with a sibling, but still possess hatred towards him or her; lose weight, but still indulging in certain treats; overcoming lust, but still harboring lustful desires. We need to truly want to change at the heart level. When we look to God to help us change at this level, we will experience real change. It is easy to see how God helps us to change in a particular area. We ask him to help us stop being angry and start being patient, or we plead with him to help us resist pride and practice humility. We can often overlook the significant grace God shows us in forgiving us when we sin and enabling us to begin anew in the battle against our flesh. We have the Holy Spirit helping us, guiding us, and giving us strength to continue on even after we fail. It is possible to attend church regularly and not be a Christian. The danger is that most individuals in this situation think they are Christians. Attending church, reading the Bible, and having Christian friends gives some a false confidence that they are Christians. Having knowledge of God and the things of God, but not having a personal faith in Jesus Christ is extremely dangerous. In many ways it would be better to not be involved in the church at all. But, as Lewis states, it is better to be neither.